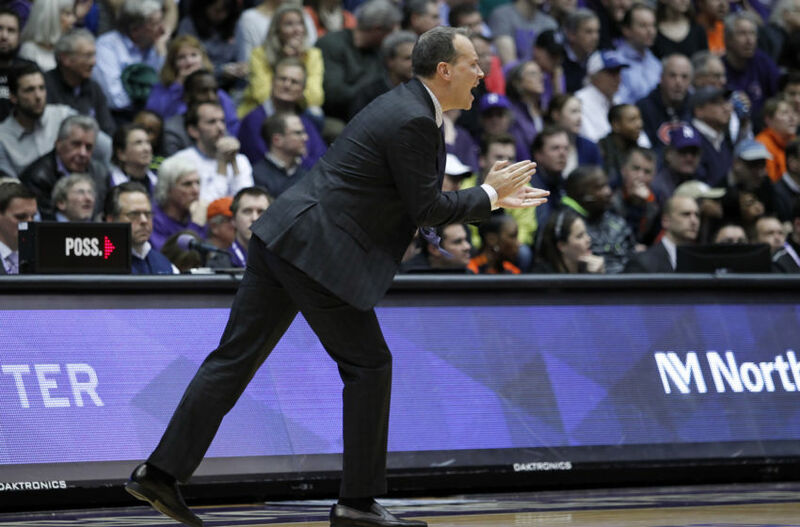 What can we take away from this past weekend in NCAA basketball? With only three top 25 match-ups and only one top 10 team falling, this was a relatively slow weekend on the court compared to the bedlam that we’ve seen so far this season in college basketball. Only No. 7 Wisconsin (who was downed by Northwestern), No. 11 Cincinnati, No. 12 Virginia, No. 14 Florida State, No. 20 Saint Mary’s, No. 22 Butler and No. 24 Xavier were losers in the top 25. On top of that, the Bearcats, Gaels, and Musketeers all lost to other elite top 25 programs, making their L’s excusable. Off the court, though, the Selection Committee unveiled their first ever mid-season top 16 NCAA Tournament bracket. While things are likely to change drastically over the next month, this was a good opportunity for coaches and players to see where they stand, and for fans to get an idea of how the committee is thinking down the stretch of the season. Regardless of the lack of upsets and the fact that the early mini-Selection Sunday overshadowed the on-court play, there is still multiple things that we can take away from the weekend that was. Remember, it’s only February 12th and this college basketball season has already been better than ever. Just buckle up for the ride because there aren’t going to be any more “slow” weekends. Next: 3. Say goodbye to Indiana? 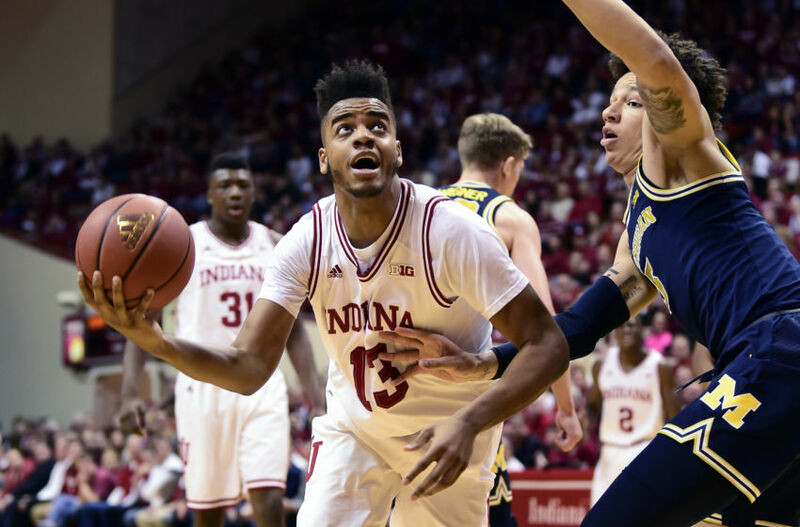 The Indiana Hoosiers lost to the Michigan Wolverines on Sunday in Assembly Hall for the first time since 2009. They were also swept by the Wolverines in the same season for the first time since 1994-95. In that case, it looks like it’s time to kiss Indiana’s NCAA Tournament hopes goodbye. Indiana is just 15-11 on the season and is currently three games under .500 in the Big Ten (5-8). On top of that, four of their final five games are on the road, including matchups against Minnesota and Purdue, and the NCAA Tournament Selection Committee has already made it known that they are unimpressed by the Big Ten in general. In the unveiling of the top 16 teams on Saturday, zero Big Ten teams were included. Not Wisconsin. Not Purdue. None. That’s bad news for Indiana. Yes, they did beat North Carolina and Kansas, but those two victories came early in the season when 1) the Hoosiers had OG Anunoby and a healthy James Blackmon Jr., and 2) when the Jayhawks and Tar Heels were still trying to find their own stride. 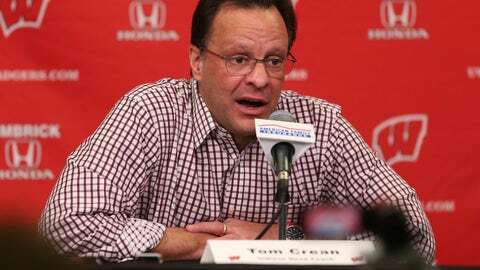 It’s a completely different world a few months later as the Hoosiers have just three top 100 wins since then — Penn State (twice) and Illinois — and Tom Crean had some revealing comments after the loss to the Wolverines. Indiana doesn’t deserve to be in March Madness at this point. And it looks like they won’t be able to recover from injuries, a lack of maturity, a terrible defense and a turnover prone offense that relies too heavily on the three-ball. As you might be able to tell, the Big Ten is a rather interesting topic of conversation nowadays. 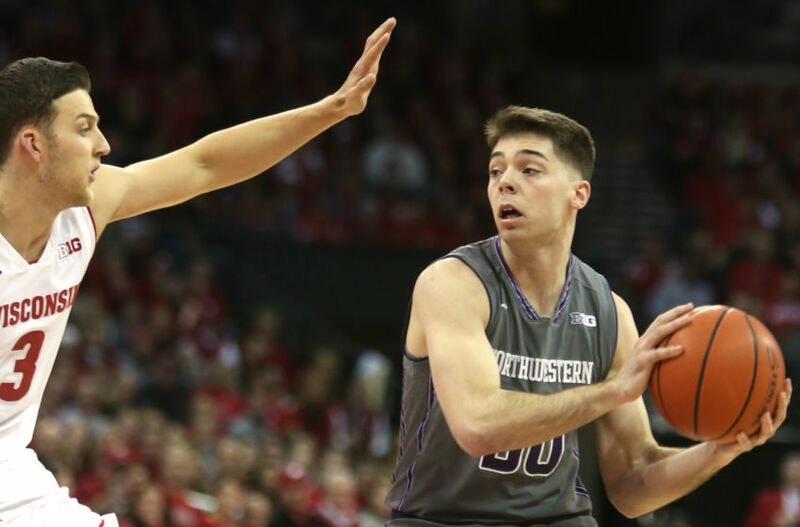 While Indiana (they lost to Michigan), Wisconsin (they lost and were left out of the top 16), and Purdue (they were left out of the top 16) were on the bad end of the stick this weekend, Northwestern is riding high. The Wildcats may have earned the best win in program history on Sunday as they went into the Kohl Center and beat the No. 7 Wisconsin Badgers without their leading scorer Scottie Lindsey. That’s darn impressive, especially given the fact that Chris Collins’ team was crushed by Purdue and lost to Illinois in their two previous games without Lindsey. So what does this mean for Northwestern? It means that the Wildcats are likely, barring a disaster of epic proportions, going dancing for the first time in school history. The Wildcats are 19-6 overall and are 8-4 in the Big Ten. They currently sit in 4th place in the league standings with eight RPI top 100 victories, including wins over Wisconsin, Dayton, and Wake Forest (all in the top 50). Also, Northwestern definitely passes the eye test. They’re tougher than they’ve been in recent years, have a more fluent and crisp offense that features two impressive guards and some solid versatile big men, and are protecting the rim better with Dererk Pardon in the middle. It’s unknown as to how much damage the Wildcats can do in March, but it’s a massive achievement for the program to just get to the tournament. Now, they must work on their resume to build up their seed line. The biggest takeaway of this past weekend: I have no idea who the best team in college hoops is. 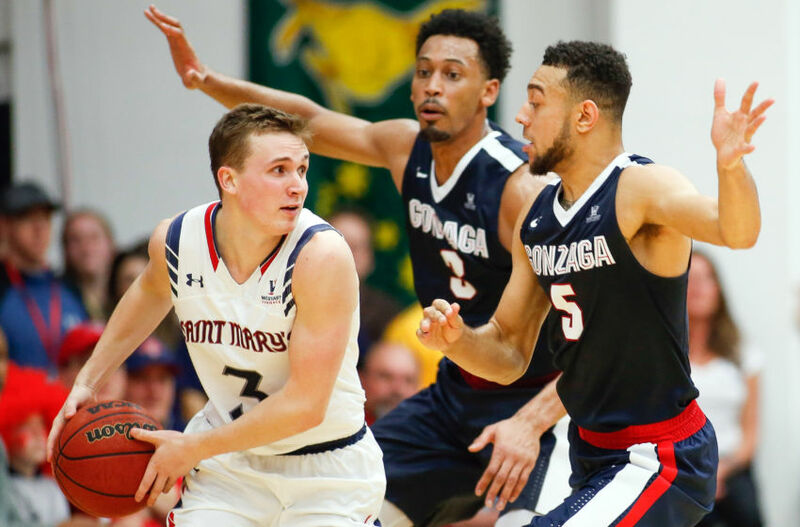 Gonzaga is 26-0 and has beaten the other ranked team in the WCC, Saint Mary’s, twice by a total of 33 points. This is the best Bulldog team that Mark Few has ever coached, they are elite on both ends of the floor and they also have the quality non-conference wins to back up their undefeated record. I would not be surprised or stunned if this Gonzaga team was cutting down the nets in Glendale in April. However, I cannot, or really anybody that follows college basketball, definitively say that the Bulldogs are the best team in the country. You can’t say anyone is. Gonzaga, Villanova, Kansas, Louisville, Oregon, UCLA, Arizona, and North Carolina appear to be a cut above the rest, but every team on the list has a weakness. The Bulldogs can be exposed in pick-and-rolls (especially when Przemek Karnowski is defending them). The Wildcats are thin and don’t have a true big man like Daniel Ochefu. Kansas lacks size and toughness in the front court. Louisville is still trying to find their consistency offensively and leadership off the court. Oregon blew a 19-point lead against UCLA and hasn’t been strong on the road. UCLA needs to continue to defend. Arizona is still learning how to get all their star players shots. And North Carolina has a shaky perimeter defense. The fact that we don’t have a clear-cut number one team right now is a gem for college basketball. And that should drive even more excitement as we head into the middle of February.